Who is ready to party??? It's that time again! 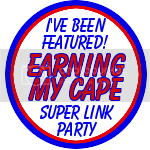 I had so much fun checking out last week's links! I hope you all checked them out too! Thank you everyone who participated! Pinned to my Super Link Party Features board on Pinterest! I hope you like these changes! 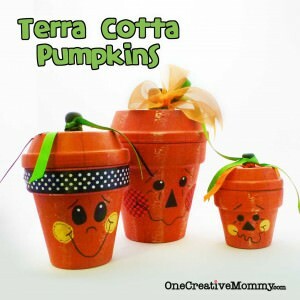 Terra Cotta Pumpkin Makeover Tutorial. The Nerdy Farm Wife shared her Herbal Jello. Ummm... AWESOME! Tutus & Tea Parties shared her Favorite Bible Apps for Kids. On The Home Front shared these mouthwatering Double Decadent Brownies. Coffee, Caramel, & Cream shared How to Make Pumpkin Rolls. Yum! What's Cooking in the Burbs shared her Stuffed Poblano Peppers. 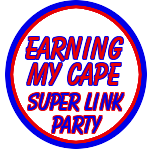 Please grab my Super Link Party button. Put it somewhere on your blog or in a post. I'd love if you would invite others to join the party and link up! Click and Comment. Please visit at least 2 other links and leave a comment on their blog. We all love comments, right? Please do not link and run. Love the changes! We all love a little extra promotion! :) Thanks for hosting. Your blog is looking great! Thanks for featuring my Double Decandent Brownies! Thanks also for hosting this party! Have a great week! Dawn here from Spatulas On Parade. I am linking my TexMex Chicken and Rice. Hi, Susie. Thanks so much for the feature! I'm snagging a button. Have a great week! Thanks so much for the feature, Susie! I haven't created a blog button yet, but once I do I'll send it to you!